Darmstadt is a city in the state of Hesse in Germany, located in the southern part of the Rhine-Main-Area (Frankfurt Metropolitan Region). Darmstadt has a population around 150,000.The Darmstadt Larger Urban Zone has 430,993 inhabitants 1). Darmstadt holds the official title “City of Science” as it is a major centre of scientific institutions, universities, and high-technology companies. The European Space Operations Centre (ESOC) is located in Darmstadt, as well as GSI Centre for Heavy Ion Research, where several chemical elements such as bohrium (1981), meitnerium (1982), hassium (1984), darmstadtium (1994), roentgenium (1994), and copernicium (1996) were discovered. Also the existence of these elements were confirmed at GSI Centre for Heavy Ion Research: Ununtrium (2012), Flerovium (2009), Ununpentium (2012), Livermorium (2010), Ununseptium (2012), and Ununoctium 2). 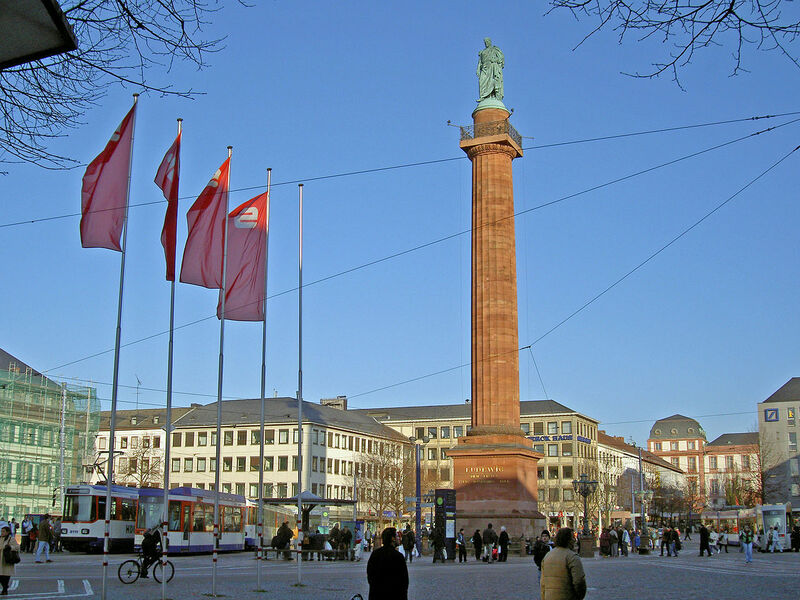 Darmstadt was formerly the capital of a sovereign country, the Grand Duchy of Hesse and its successor, the People's State of Hesse, a federal state of Germany. As the administrative centre of an increasingly prosperous duchy, the city gained some international prominence. In the 20th century, industry (especially chemicals), as well as large science and electronics (later information technology) sectors became increasingly important, and are still a major part of the city's economy 3).